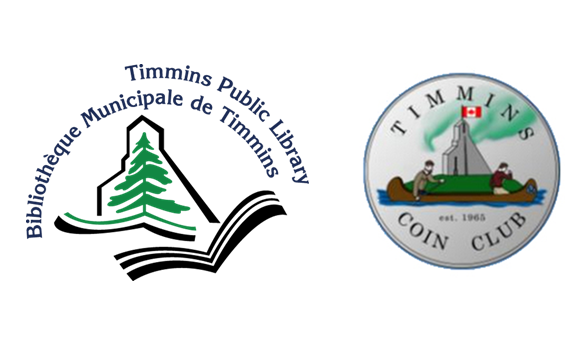 The Timmins Public Library and Timmins Coin Club celebrate National Coin Week with a family-friendly “Fun with Coins” afternoon on Saturday April 27, 2019 from 12:30 p.m. to 4:00 p.m. Explore Canada’s heritage through coin sets, and learn about the hobby of coin collecting. At 2:00 p.m., there will be a presentation for all ages about Timmins Commemorative Medallions. No registration required. Phone 705-360-2623 ext. 8519 for information.